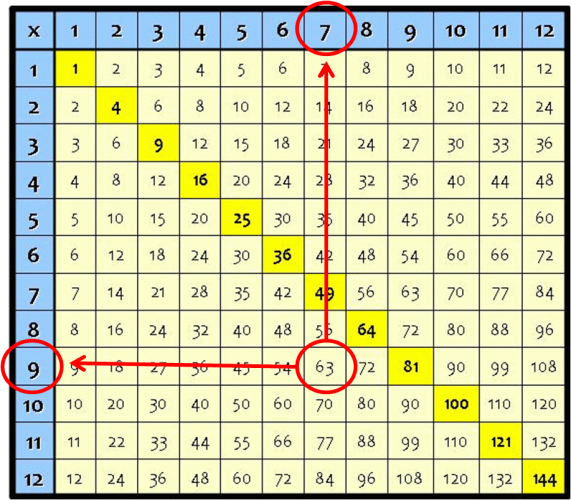 In this worksheet, students practise their division using their times tables. 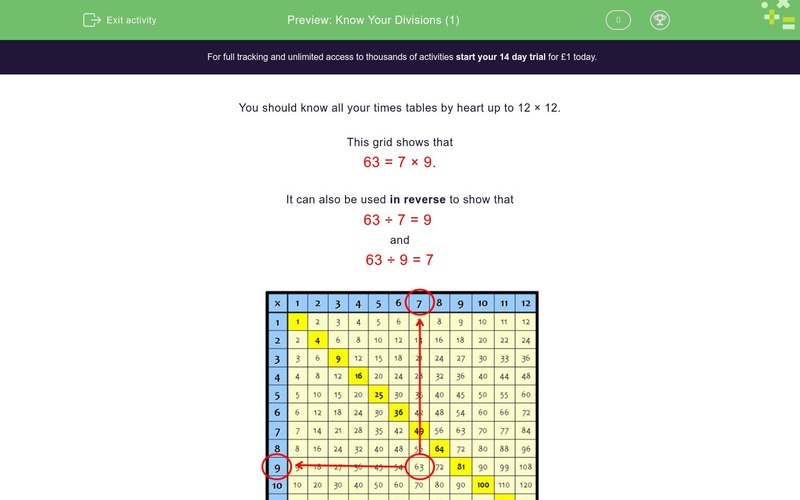 You should know all your times tables by heart up to 12 × 12. 63 = 7 × 9.